Description: (FC course ref. 3.48b) The Forestry Commission courses for 2015 have now all taken place. We await information on the 2016 dates and will share when available. Description: The joint CCFG/Pro Silva Ireland study tour to Southern Poland 24 – 27 June 2015 was a great success and enjoyed by all 35 delegates who attended. See handouts provided by Maciej Pach. A report and photographs will follow. Description: The 2015 England meeting was held on Thursday June 4th in the New Forest. The day was led by Dr Jens Haufe the Forestry Commission’s principal trainer, with added input from Dr Gary Kerr of Forest Research. Please read the report of the Field Visit produced by Neil Chamberlain with photography supplied by Ted Wilson. Description: We shall be looking at a range of issues, including diversification through underplanting, restructuring after catastrophic wind damage and PAWS regeneration. For more information see programme. Description: This year’s Pro Silva conference was based in Zurich with field visits to forests in the east of Switzerland. Description: In the morning we visited Baluain on the Atholl Estate where regeneration of the existing larch plantation has been managed using a group selection system. In the afternoon we went to Faskally Forest where transformation towards an irregular forest was started 60 years ago. Present latest developments in CCF management systems, especially focusing on the potential of CCF to promote sustainability and resilience. Demonstrate examples of CCF in practice, under a range of management objectives. Identify future measures that could result in wider adoption of CCF in Britain including consideration of aspects relevant to research and policy. 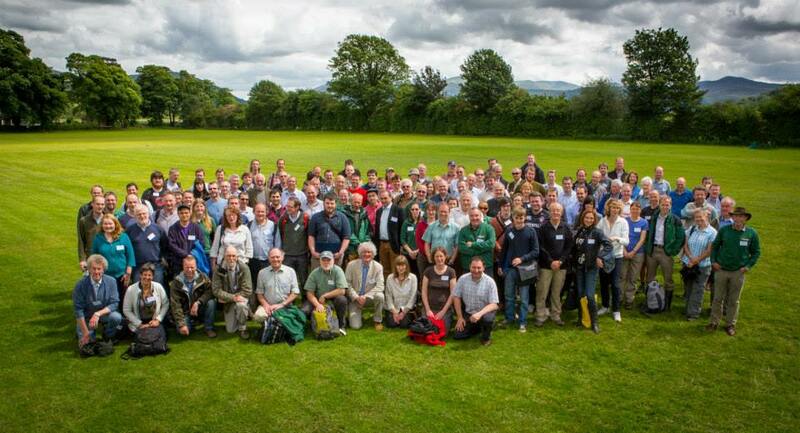 The conference attracted 140 participants from across the British Isles and from North America. Presenters included leading researchers, policy-makers and practitioners. 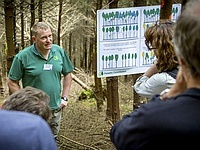 The programme comprised both plenary sessions and site visits to Wythop and Thirlemere Forests, with technical presentations taking place in the two woodlands. There was also an optional third day of site visits to the western Lakes. 2014 Conference Information– the original proposal document which sets out the context and themes of the conference. Research Poster Display – posters of 8 research projects which were on display in the Conference premises, 4 of which were winners of a student poster award funded by the School of Geosciences, University of Edinburgh. 2014 Conference Resources – the outputs from the conference: pdfs of speaker presentations (some also in MP4 format); conference report; photographs. We are grateful to the Forestry Commission for providing funding for the conference report and these web pages, enabling presentations and discussion from the conference to be made available to a wider audience. Thanks also to the Scottish Forestry Trust for their support for the conference, including funding our visiting Keynote Speaker, Klaus Puettmann, Professor of Silvicultural Alternatives, Oregon State University. We would like to thank the Local Organising Committee and in particular Ted Wilson, who worked tirelessly to present an excellent programme and make the conference such a success, and the speakers, volunteers, delegates and many others who contributed in so many ways. Our thanks too to all our partners and sponsors who supported the conference with both generous donations and/or in kind.